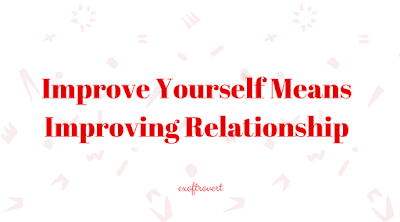 Improve Yourself Means Improving Relationship - If you feel, emotionally, depend on your partner, or feels excessive jealousy, feels lonely, or feels unsafe in the relationship, it is a sign that you have to start improving yourself. It will be difficult to have a relationship with others if you have a problem with yourself. Likewise, people will more easily like you if you already love yourself. When you can decide to improve, then you will naturally feel better and happier. At the beginning, you will find it difficult to improve yourself, it seems impossible to do, but when you start, you will feel that improving yourself is an easy thing to do. And of course, the many benefits you get. Quotes from Lifehack, there is how you can improve yourself. The first thing you can do is love yourself and treat yourself with love, just as you want others to treat you. 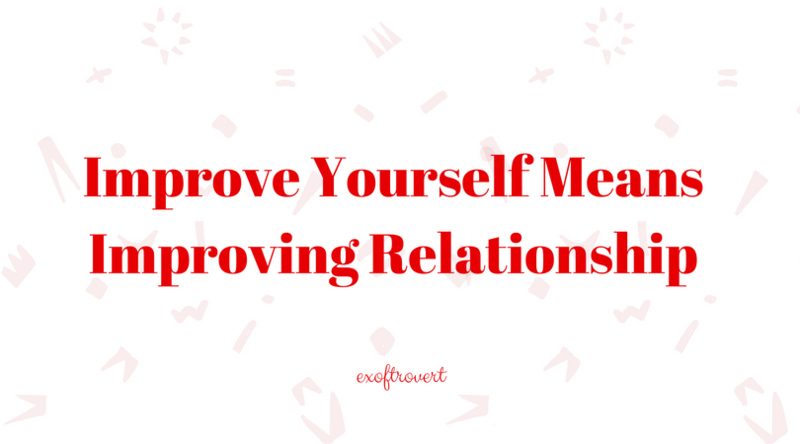 Believe that loving yourself will improve your relationship with others. Ability to differentiate between wants and needs and accept why not have one or both, learn to appreciate the feelings that arise because of it. Unhealthy relationships are full of depression while a healthy relationship is filled with good strength and affirmation. Consider yourself as a friend will make you accept the shortcomings you have. You will understand that having shortcomings is a normal thing. A person who has a bad relationship with himself is certainly because of the way and the process of negative thinking and say negative things; how do you look at things in a bad position. Therefore, trying to change the point of view becomes more positive and replacing the often-said negative words will effectively make yourself even better.